The Mayflower Motorcycle Club is a national club with a local feel - we are renowned for being a very sociable touring club with a wide range of members across the country - the focus being that it doesn't matter what motorcycle you own as long as you ride it. The Club organises a full social calendar, including the long-standing Pilgrims Rally and monthly camping weekends held in different parts of the country and abroad. 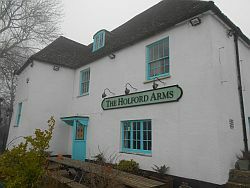 A pre-requisite for these events is a real ale pub with good food. The club likes to camp in interesting parts of the country where members can enjoy a decent ride and have somewhere to look around during the course of the weekend. These camping weekends are regularly attended by 40 percent of the club's membership. Over the course of the year, some 80% of the club's 200+ membership attend a club event, which reflects the enthusiasm of its members and may surprise some of the larger local, national and one-make clubs. For a couple of years now, a gang of members have been recommending the Nelson Head at Horsey as a camping weekend venue, and Nigel Green thought he had finally succeeded by nominating it as his Globe Trotter winners choice. However, he was told that he must choose a venue that we had used previously, so went for Eskdale in Cumbria. 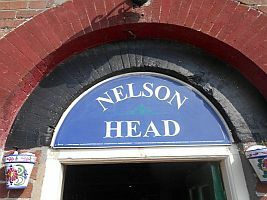 But when the committee met to plan this year, the pestering paid off and we chose the Nelson Head as well. And a good choice it was. For all of those who no longer camp in the winter, the February camping weekend could have changed your mind. The temperatures for this beautiful weekend reached over 20 Celsius in some parts of the country, and we certainly enjoyed high teens. Apart from the freezing mist first thing in the morning that had most people running to the onsite hot showers, but some were still dressed in shorts and flipflops. In February! A heavy frost on Friday morning greeted the advance party at the back of the pub, but by the time everybody else turned up, a nice mild weekend was brewing. The car park was soon full and with tents pitched, the village welcomed its annual invasion. For the first weekend in December 57 members and guests gave up their tents and bikes to dress up and attend the Christmas Party. 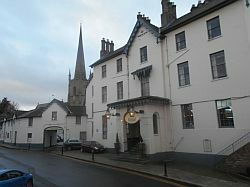 Held at the impressive Royal Hotel in Ross on Wye, the town and all of its hostelries (and on Friday night its restaurants as well) were graced with members catching up and improving the local economy.